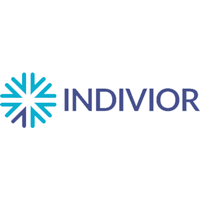 Indivior PLC (LON: INDV) announced today that Health Canada has approved SUBLOCADETM (buprenorphine extended-release) injection for subcutaneous use, for the management of moderate to severe opioid use disorder (OUD) in adult patients who have been inducted and clinically stabilized on a transmucosal buprenorphine-containing product. SUBLOCADE should be used as part of a complete treatment plan that includes counseling and psychosocial support, and must only be administered once a month, subcutaneously in the abdominal region by a healthcare provider1. In Canada, SUBLOCADE will be marketed by Indivior Canada Ltd., and will be available by the second half of 2019. · Patients who are hypersensitive to this drug or any ingredient in the formulation, including any non-medicinal ingredient, or any component of the ATRIGEL® Delivery System. · Patients with severe respiratory insufficiency: e.g., acute or severe bronchial asthma, chronic obstructive airway, status asthmaticus, acute respiratory depression and/or cor pulmonale. · Patients with severe hepatic impairment. · Patients with acute alcoholism or delirium tremens. · Patients with known or suspected mechanical gastrointestinal obstruction (e.g., bowel obstruction or strictures) or any diseases/conditions that affect bowel transit (e.g., ileus of any type). · Patients with suspected surgical abdomen (e.g., acute appendicitis or pancreatitis). · Patients with severe central nervous system (CNS) depression, increased cerebrospinal or intracranial pressure, and head injury. · Patients taking monoamine oxidase (MAO) inhibitors (or within 14 days of such therapy). · Patients with convulsive or seizure disorders. · Congenital Long QT Syndrome or QT prolongation at baseline. · Uncorrected hypokalemia, hypomagnesemia, or hypocalcemia. · Serious warnings and precautions regarding incorrect administration, limitations of use, addiction, abuse and misuse, use during pregnancy, interaction with alcohol, neonatal opioid withdrawal syndrome, interaction with other central nervous system depressants and cardiac. · Other warnings and precautions regarding intravenous administration, risk of misuse, abuse or diversion, risk of tissue damage, adrenal insufficiency, hypotension, QTc prolongation, dependence and risk of withdrawal with discontinuation, driving hazardous machinery, circumstances when cerebrospinal pressure may be increased, effects in acute abdominal conditions, elevation of intracholedochal pressure, hepatitis and hepatic events, monitoring and laboratory tests, peri-operative considerations, risk of respiratory and central nervous system depression, serotonin syndrome, reproduction, function and fertility, general precautions, unintentional pediatric exposure, use in opioid-naïve patients, pregnancy, labour or delivery, nursing women and geriatrics. · Conditions of clinical use, adverse reactions, drug interactions and dosing instructions. Indivior is a global specialty pharmaceutical company with a 20-year legacy of leadership in patient advocacy and health policy while providing education on evidence-based treatment models that have revolutionized modern addiction treatment. Our vision is for all patients around the world to have access to evidence-based treatment for the chronic conditions and co-occurring disorders of addiction. The name is the fusion of the words individual and endeavor, and the tagline “Focus on you” makes the Company’s commitment clear. Indivior is dedicated to transforming addiction from a global human crisis to a recognized and treated chronic disease. Building on its global portfolio of opioid dependence treatments, Indivior has a strong pipeline of product candidates designed to both expand on its heritage in this category and address other chronic conditions and co-occurring disorders of addiction, including alcohol use disorder and schizophrenia. Headquartered in the United States in Richmond, VA, Indivior employs more than 900 individuals globally and its portfolio of products is available in over 40 countries worldwide. Visit www.indivior.com to learn more. 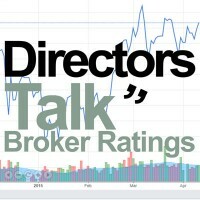 This press release contains certain statements that are forward-looking, and which should be considered, amongst other statutory provisions, in light of the safe harbor provisions of the United States Private Securities Litigation Reform Act of 1995. By their nature, forward-looking statements involve risk and uncertainty as they relate to events or circumstances that may or may not occur in the future. Actual results may differ materially from those expressed or implied in such statements because they relate to future events. Forward-looking statements include, among other things, statements regarding the Indivior Group’s financial guidance for 2018 and its medium- and long-term growth outlook, its operational goals, its product development pipeline and statements regarding ongoing litigation.